When I first told my husband about my idea to add a DIY wood mirror frame he looked at me like a crazy person. 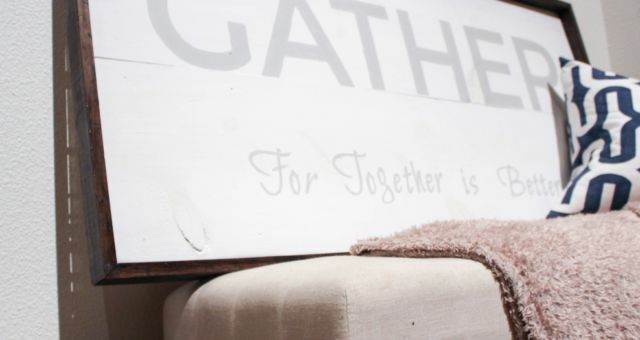 Even though he wasn’t totally convinced at the start he agreed that the finished DIY wood mirror frame looked pretty awesome and added to our country farmhouse decor. 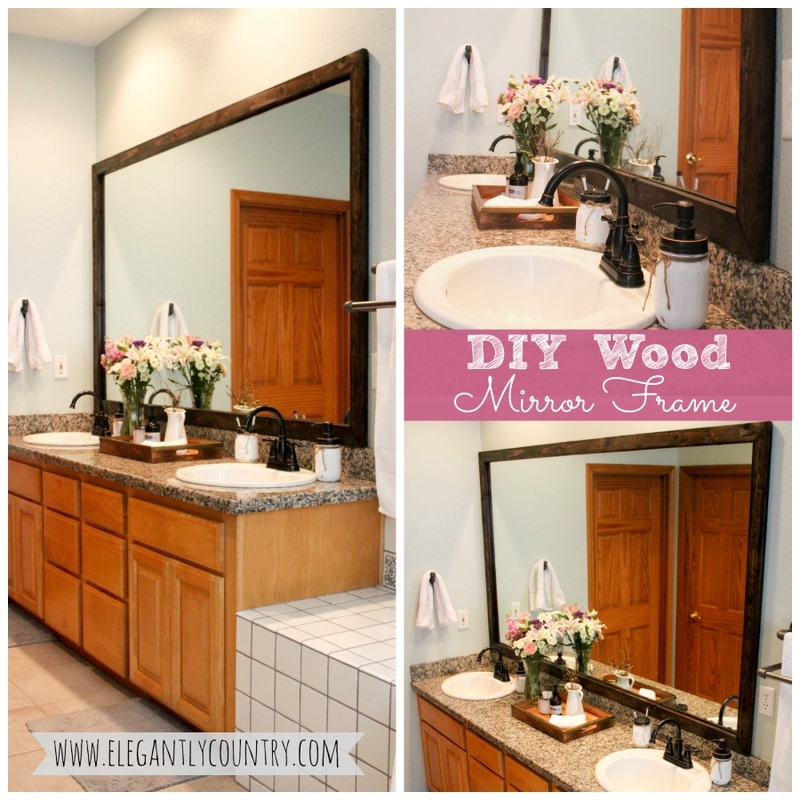 I love the look and feel of our new DIY wood mirror frame! 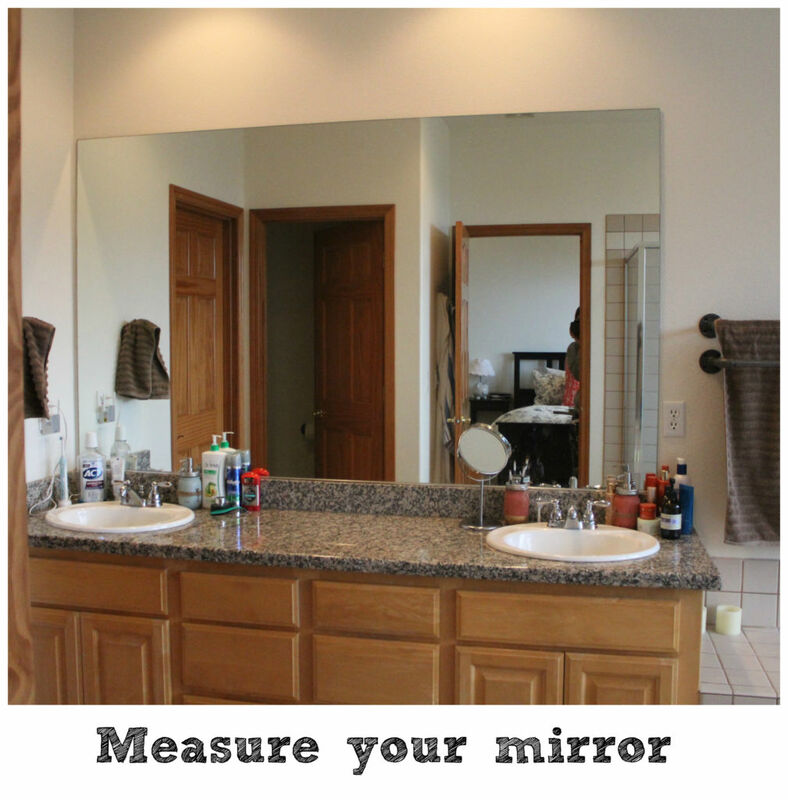 Start by measuring the length and height of your mirror. Our mirror measured out to be 81.1 inches by 47.1 inches. 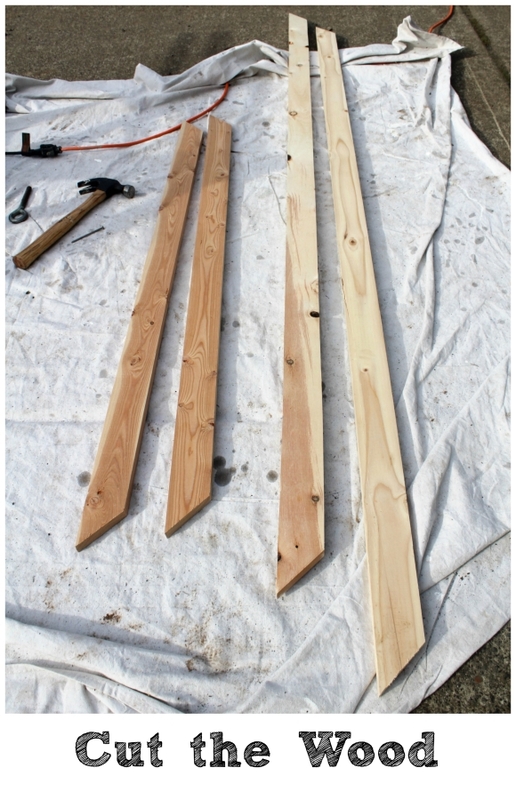 Once you have your measurements than its time to cut the wood at a 45-degree angle. Now comes the fun part. Gather your supplies (hammer, screws, ziplock, sandpaper, and straight edge, such as a nail) and get ready. First, grab your sandpaper and get started by sanding around all four edges of the wood. Next place your screws into a gallon size ziplock bag. 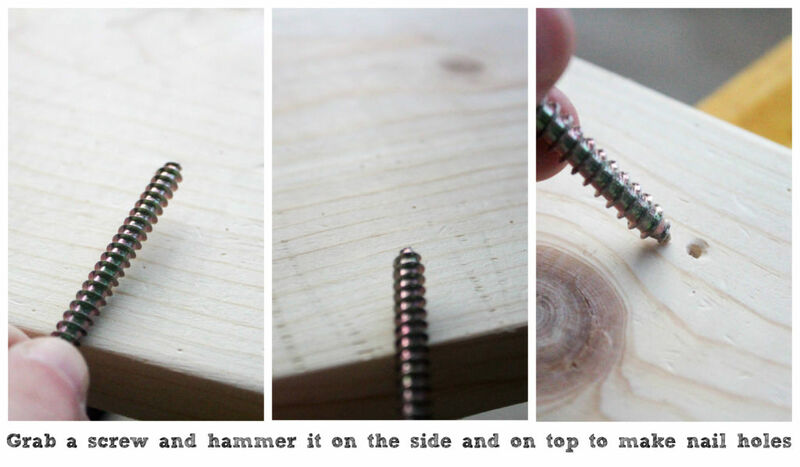 Start by dropping the bag of screws repeatedly onto the wood to create small dents. Then grab your hammer and make a few larger dents. 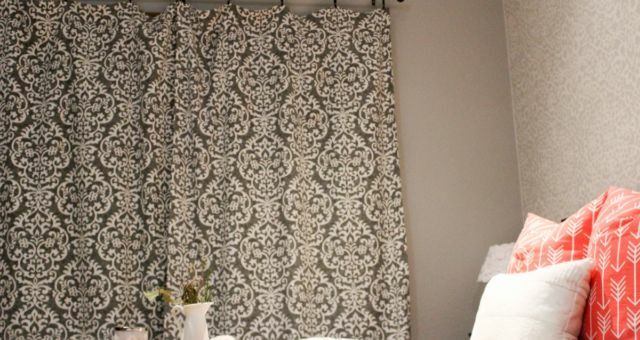 Grab something with a straight line such as a nail or tool and hammer it down to make a straight line indent. Next, grab a screw and drag it along, or hammer it on its side. Then hammer the screw tip into the wood to make a nail hole. 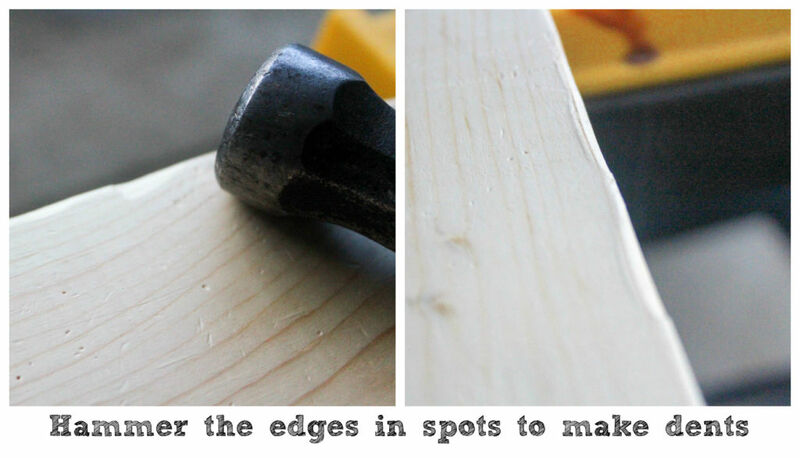 Lastly, hammer a few dents along the edge of the wood to give the edges some character. This part can get messy you might want to wear disposable gloves. First, start by brushing the stain onto the wood. 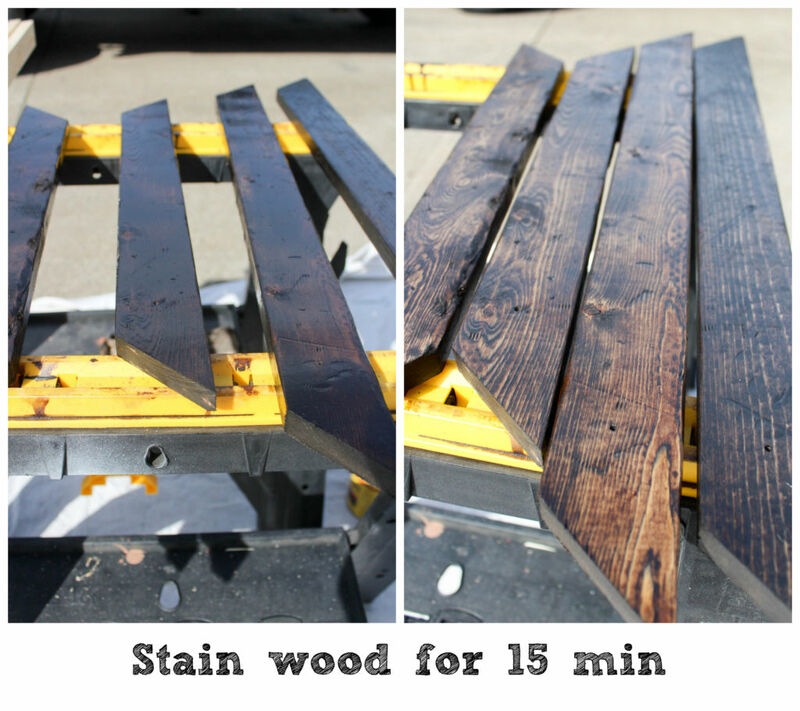 Once the stain is all over one piece of wood set a timer for 15 minutes and then with a clean rag wipe the excess stain off. Let the wood dry completely before moving on to step five. TIP: Be sure to stain both sides of the wood. Since mirrors are reflective it will reflect part of the backside of the wood in the mirror. Start by gluing one of the short sides down first. TIP: Place the glue on the outer edge and center as much as possible. The glue expands as it dries and can expand onto the mirror if placed too close to the inner edge. If some glue does come out onto the mirror don’t worry simply take a razor blade and scrape it away. If you can still see some of the glue paint some stain onto the glue to help it blend in. Don’t worry if you get the stain on the mirror it will wipe off. Place a heavy object against wood while the glue dries it down in place. Next, glue the bottom wood down. Again place something heavy down to hold it while the glue dries. Once the bottom is dry glue down the other small side. 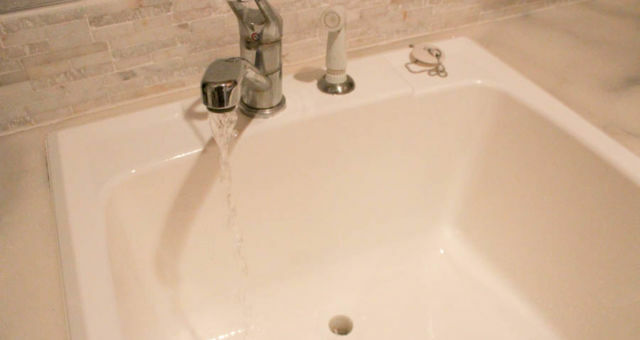 Be sure it’s in the right place by holding the top side up as well to make sure of the correct placement. Place a heavy object against it while it dries in place. Lastly, glue the top half up. 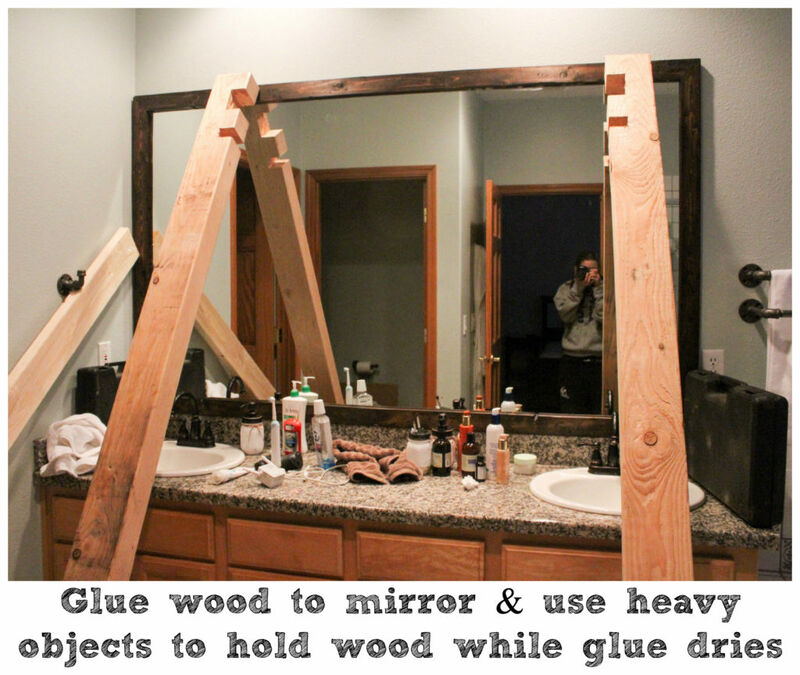 Use a heavy object to hold the wood against the mirror while it dries. 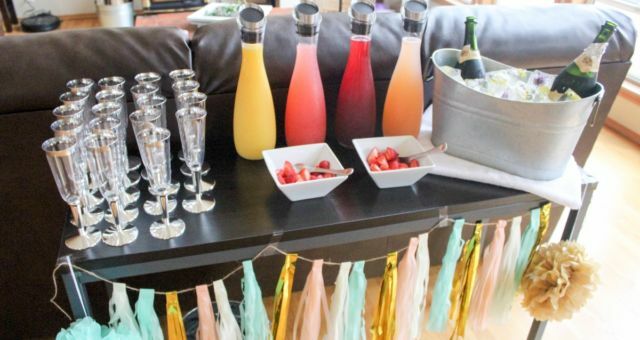 We used the wood beams from our wedding arch and they worked great! 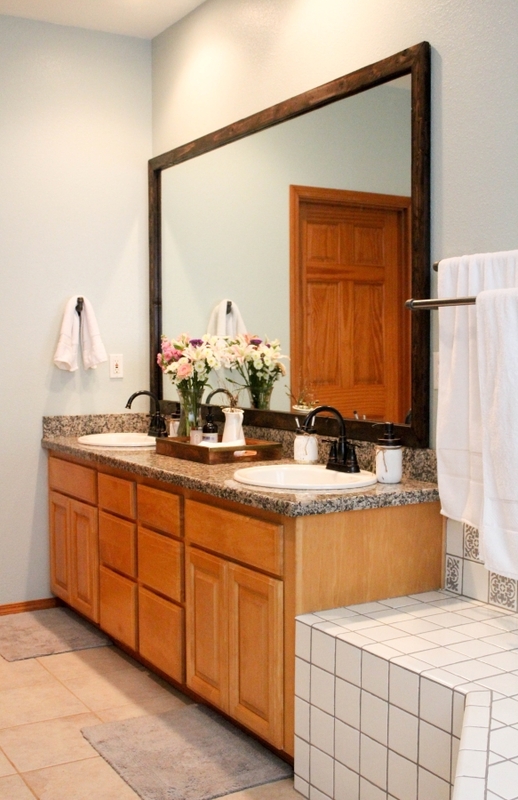 Make your wood framed bathroom mirror to create the perfect addition to any farmhouse bathroom design.